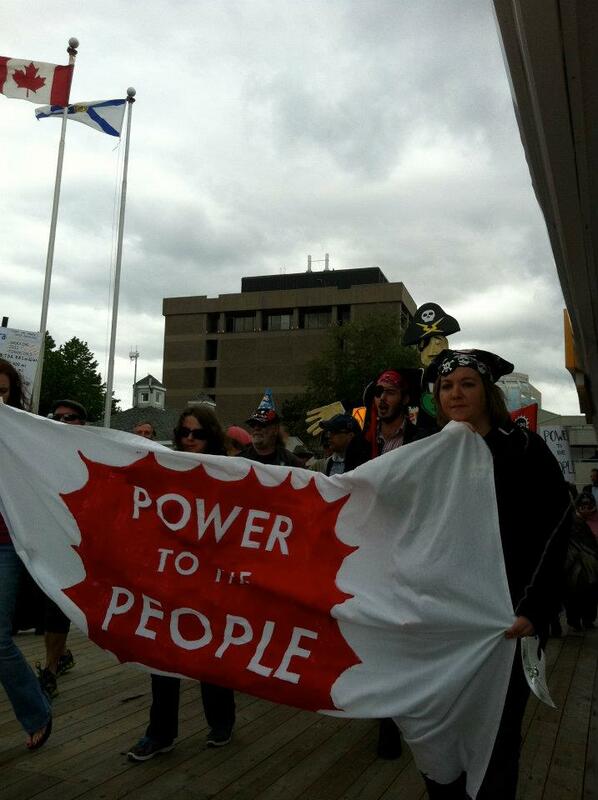 Emera’s Profiteers rally organized by the Power to the People campaign in June 2012. The public is encouraged to propose alternative names for the Oval and make nominations for the contest. Nominations will run from Wednesday, February 13 until Thursday, February 21. Finalists will be announced on Saturday, February 23 and voting will run from February 23 to March 7. The winner will be announced on March 9. Weather permitting, Solidarity Halifax members will leaflet the public at the Oval on Wednesday, February 13 at noon to start the conversation about the contest.